We have a special treat this Saturday. 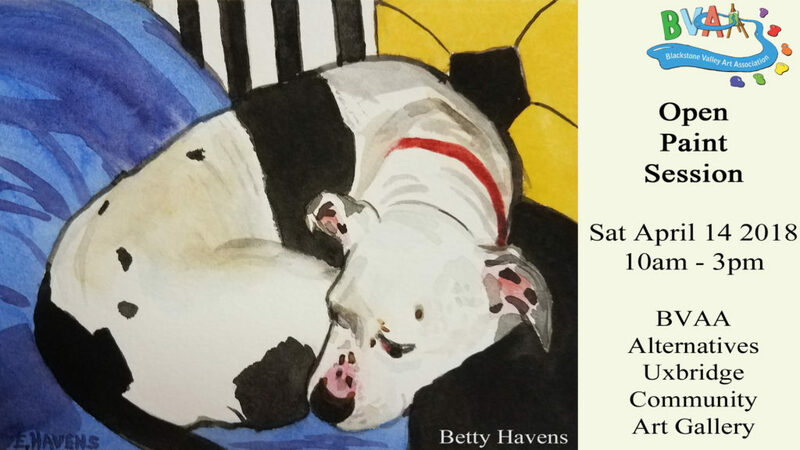 Talented BVAA member Betty Havens will be in the gallery painting on-demand pet portraits while you wait! Just bring a photo or cellphone image of your pet, and in about fifteen minutes Betty will have your custom portrait painted for you! Perfect for framing and hanging! Note that there’ll also be a free Twitter for Artists workshop in the afternoon. So any of you with cellphones or tablets, you can get personalized help setting up a Twitter account while you paint!